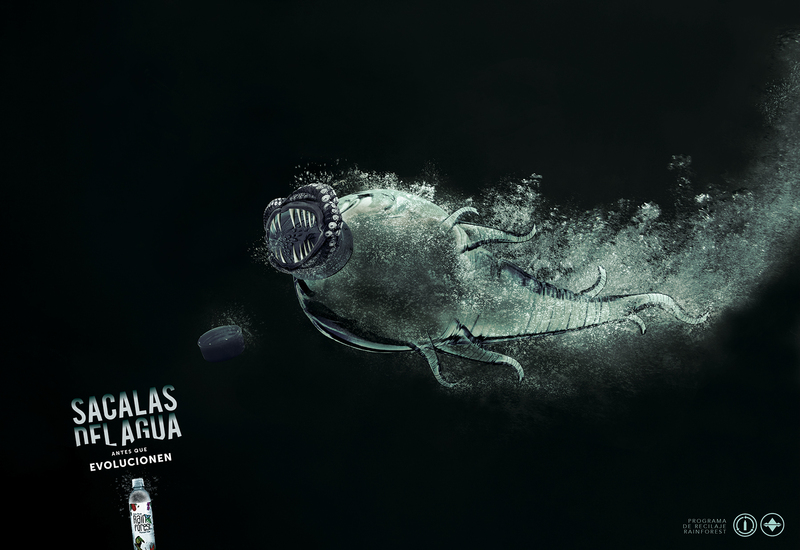 Rain Forest, a Costa Rica company selling water in recycled bottles, is promoting its recycling program with a set of three print advertisements featuring mutant bottles. 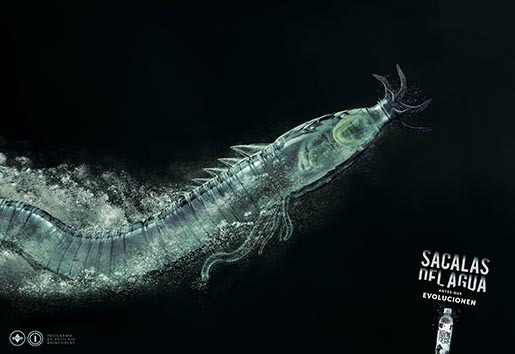 Bottles are shown swimming with teeth and fins. “Sacalas delagua antes que evolucionen” (Remove them from the water before they evolve). 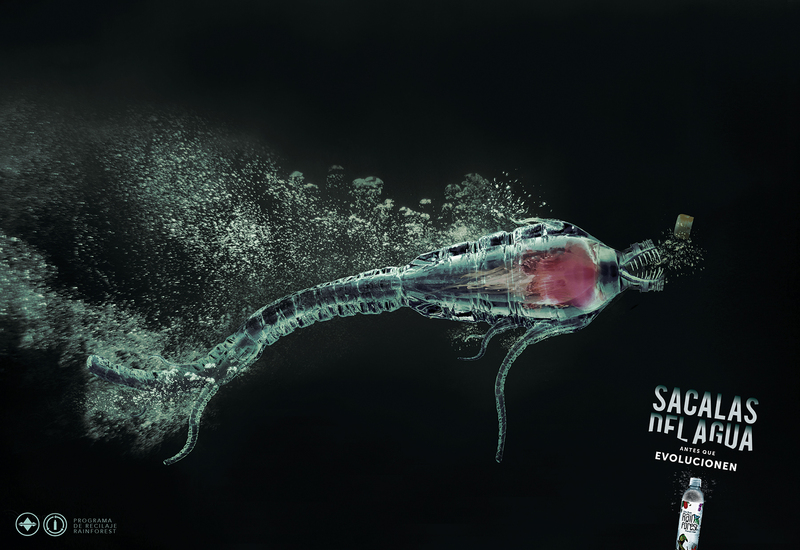 The Recycling campaign was developed at Father, Costa Rica, by art director/illustrator Daniel Montiel and copywriter Huelander Escalante.